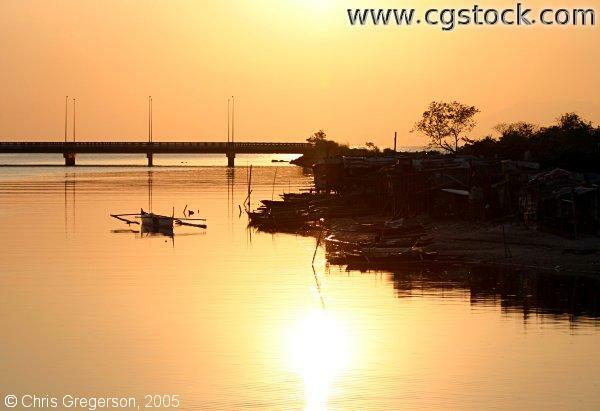 This is the mouth of the Pasig River in Manila, where the river meets Manila Bay. The sun in setting when this photo was taken. There on shanties on the right riverbank.